This presentation, given by Santiago Peralta, DVM, DAVDC at the 2014 ASPCA/Cornell Maddie's® Shelter Medicine Conference, will review the basic aspects of the pathophysiology, diagnosis and treatment of the most common dental diseases of dogs and cats and possible ways to implement adequate dental standards at shelters. 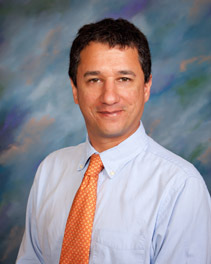 Dr. Peralta has been practicing veterinary dentistry and oral surgery since 2004. He received his degree in veterinary medicine from La Salle University in Bogota, Colombia, in 1999. He worked in private practice for six years before specializing in dentistry and oral surgery. He completed a Residency in Veterinary Dentistry and Oral Surgery at the University of California - Davis in 2009, and joined the faculty at Cornell in 2011. He is a Diplomate of the American Veterinary Dental College.